Welcome home! Nestled in the popular Chimney Springs swim and tennis neighborhood, this home is just waiting for your finishing touches. The flowing floor plan, custom features, and charming character of this home will never go out of style. 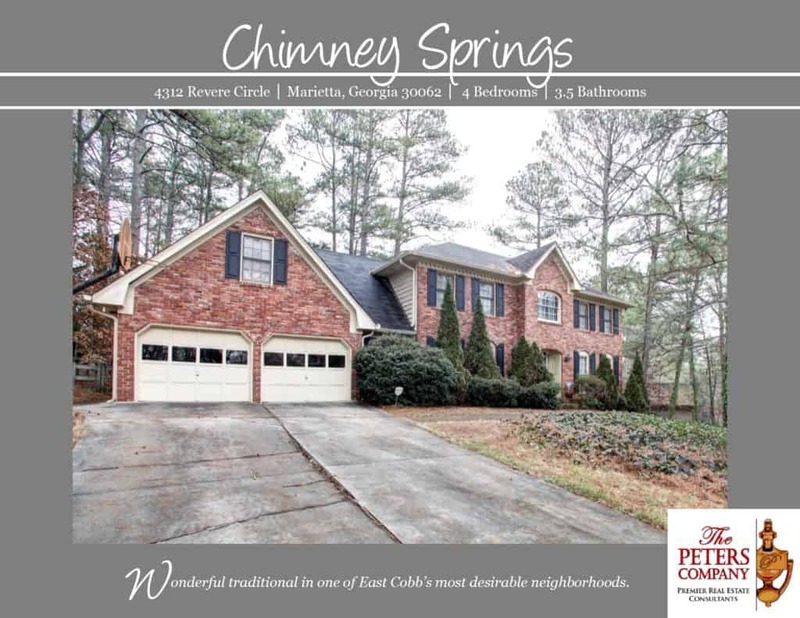 You will love being close to everything with easy access to highways such as 120 and GA400, byways such as Johnson Ferry Road, and the shopping and restaurants surrounding this incredibly desirable East Cobb community. Not to mention that you will be in the award winning school district of Tritt, Hightower, and Pope! Large eat-in kitchen features ample cabinet and counter space as well as a pantry and office nook. Separate living room and dining room are perfect for entertaining. Family room has built-in bookcases and cozy wood-burning fireplace. Spacious master bedroom features a large walk-in closet along with a private bathroom with dual vanities. Three additional bedrooms are well-sized and bright. Second floor bonus room is ideal for a home office, playroom, or media room. Garage can easily fit two vehicles with additional storage space. Full finished basement boasts a kitchenette and full bathroom along with additional living and storage space. Enjoy the private and wooded backyard from the deck. ← Just Listed :: Wonderful Condo in Midtown's Park Central!